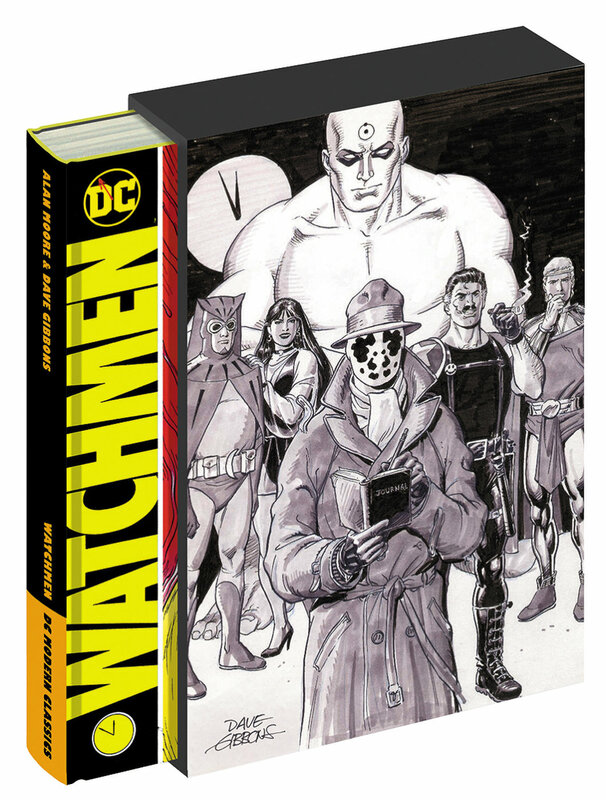 Widely considered the greatest graphic novel ever written, Alan Moore’s dystopian masterpiece Watchmen is now presented in a new hardcover edition with an exclusive slipcase, as a part of DC Modern Classics. In an alternate world where the mere presence of American superheroes changed history, the US won the Vietnam War, Nixon is still president, and the cold war is in full effect. Watchmen begins as a murder-mystery, but soon unfolds into a planet-altering conspiracy. As the resolution comes to a head, the unlikely group of reunited heroes—Rorschach, Nite Owl, Silk Spectre, Dr. Manhattan and Ozymandias—have to test the limits of their convictions and ask themselves where the true line is between good and evil. Alan Moore and Dave Gibbons created Watchmen and changed the course of comics’ history, essentially remaking how popular culture perceived the genre. It’s no coincidence that this groundbreaking volume is the first of DC Modern Classics. DC Modern Classics features the most highly regarded graphic novels from the world’s foremost authority on graphic literature. These groundbreaking, genre-defining works are presented in new unique hardcover editions, each fitting into a beautifully designed exclusive slipcase, perfect for display. DC Modern Classics are a must-have for any collector, as well as any new fan just beginning to build their graphic novel library. Watchmen (DC Modern Classics) will be released on March 20, 2019.